Give your learner the flexibility they need to take control of their education while ensure all goals are met. 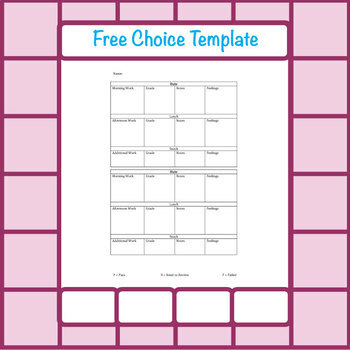 These templates have been used in our classroom. We meet every morning with each student. Once their goals are finalized, they go about their day with minimal teacher help. As long as they report back and we see their progress, it is amazing how much children will accomplish.